Brand New 2BHK Semi-Furnished Homes located in Chelekere, Kalyan Nagar in a fully developed posh locality. 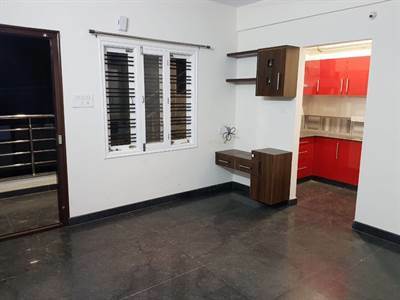 The House is of Modular kitchen, wardrobe for both bedrooms, Geyser for bathroom etc. East facing door in 1st floor along with granite flooring, interiors done, 2 bedrooms, 1 bathroom, living hall, kitchen. New property etc..